One of Canada’s biggest grain companies is stepping out of three Canadian oilseed industry organizations — and taking its funding when it goes. Winnipeg-based, privately-held Richardson International has announced it will not provide funding in 2018 for the Canola Council of Canada and the Flax Council of Canada, nor will it renew its funding commitment for Soy Canada when it expires at the end of March. 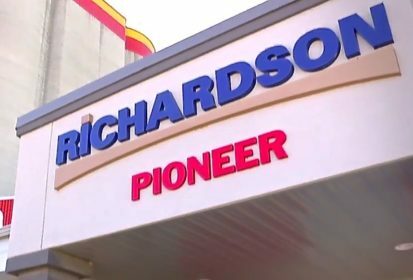 For Richardson, the decision means withdrawing yearly commitments which have recently totalled over $1 million annually, the lion’s share of which went to the Canola Council, according to Jean-Marc Ruest, the company’s senior vice-president for corporate affairs. The company has found the value of membership in the industry groups has fallen short of the “significant” financial cost, he said in an interview Tuesday. Many of the issues addressed by such councils, such as non-tariff trade barriers and matters of government policy, don’t vary from crop to crop, he said, and the companies that handle, purchase and export the various oilseeds are generally the same. Such issues, he said, could be handled on a “multi-commodity” basis. Ruest said he’s found it striking that when he takes part in a meeting on a canola issue, the other participants are generally the same as those he sees in meetings for the other commodities. “I don’t think it’s as simple as ‘put all the organizations together and call them an oilseed council,'” he said, but he sees synergies in such a move for the organizations’ funders if there’s “good value” for the money the company is being asked to spend. Ruest emphasized that the company’s decision is not a matter of retrenching, as it continues to fund organizations such as Cigi and Cereals Canada. The idea of regrouping as a multi-commodity oilseeds council has been “thoroughly discussed” over the past year at the request of some Flax Council members, according to that council’s chairman, Brian Johnson. “Through these discussions, it became apparent that the formation of an oilseed council would not materialize in the foreseeable future,” Johnson said in a Jan. 8 release announcing the council would shut its Winnipeg head office in a cost-cutting move. The Canola Council said it would continue to follow its current 10-year plan, dubbed “Keep It Coming 2025,” with its focus on increasing canola yields and production to meet global demand. That said, “it’s time for a thorough review of our priorities and approach to ensure it fully aligns with changing industry needs,” council president Jim Everson said Tuesday in a release. The groups said they “fully appreciate the value they receive from the Canola Council of Canada for the substantial grower dollars they contribute,” noting the council’s international marketing and promotion efforts, its market access work, its “science-based” agronomy support and its work in raising and administering research funding.